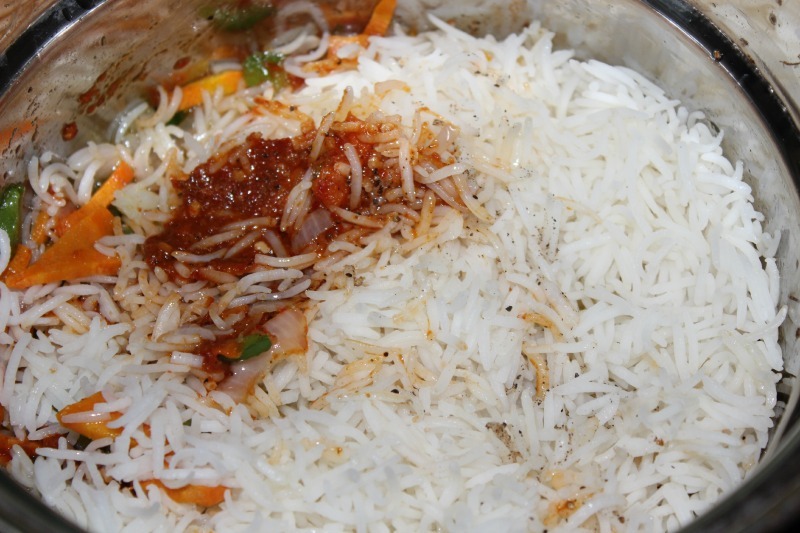 Wash and soak the basmati rice in water for 10 mins,drain the water and keep aside.Boil water with salt in a vessel.Add the basmati rice and when it boils simmer the flame.When the rice is cooked,drain the remaining water in a colander,rinse the water in water to stop them from getting cooked further and drain the water completely. 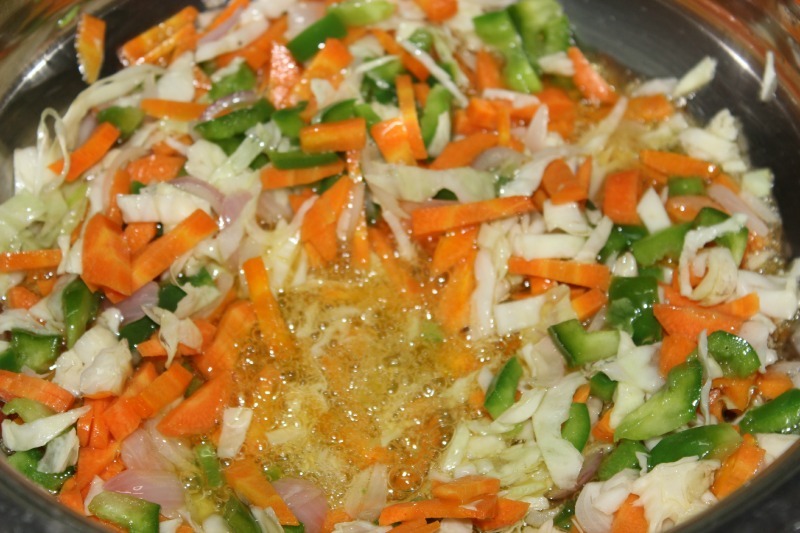 Heat a wok with oil,add onions,capsicum,carrots,cabbage and saute for a min in high flame. Add the szechuan sauce,pepper and salt. 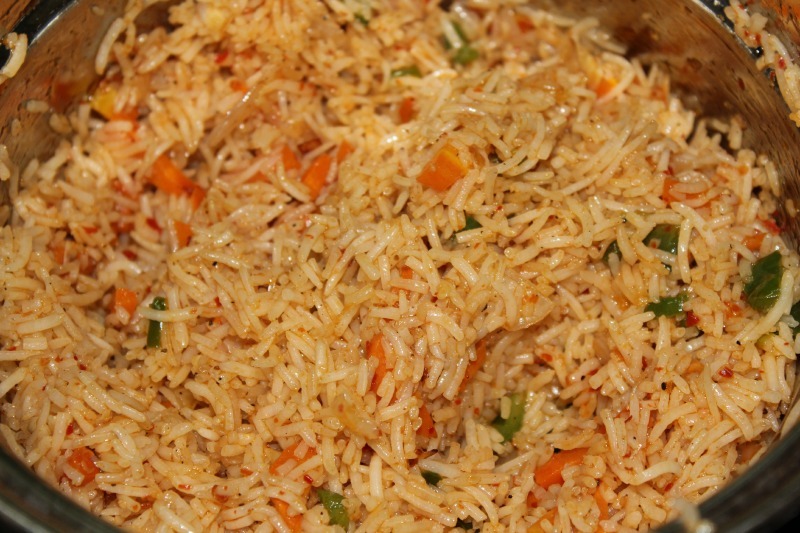 Now add the boiled rice with the veggies and let it get mixed well with the vegetables and the sauce. 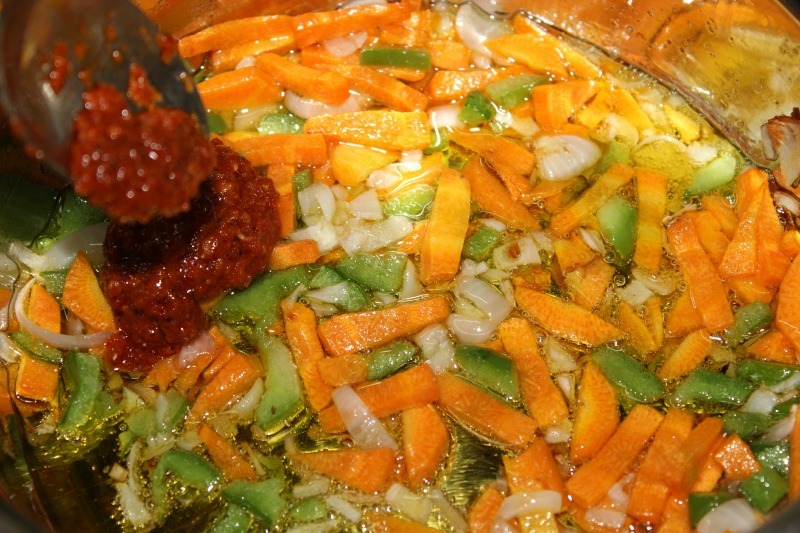 Mix them well and switch off the stove. 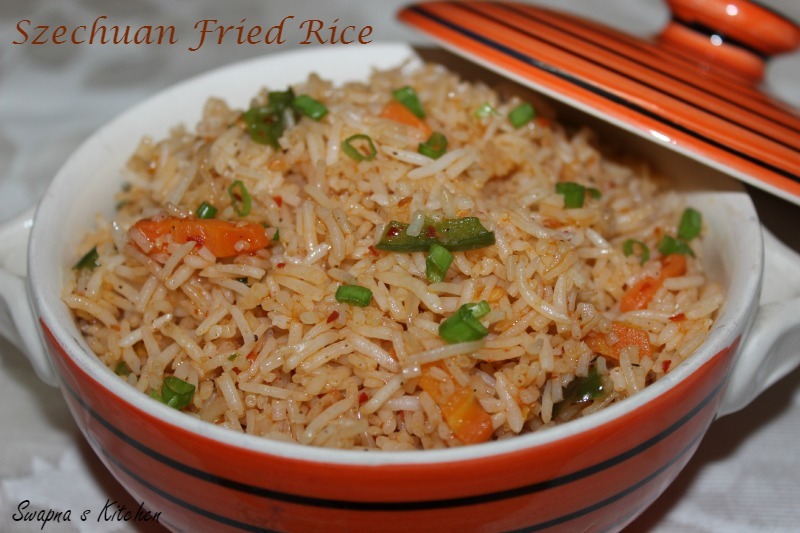 http://madraasi.com/2014/10/26/schewzan-vegetable-fried-rice/ chk out this… foloowed ur recipe, the only change is schewzan sauce. tasty dish. Nice procedure explanation. Thanks for sharing.